Mt. Cho Oyu (8201m) lies about 20km west of Mt. Everest on the Nepal-Tibet border. The mountain is also known as Mt. Qowowuyag and is situated in the middle section of the Himalayas. Cho Oyu lies about 20km west of Mt. Everest on the Nepal-Tibet border. The mountain is also known as Mt. Qowowuyag and is situated in the middle section of the Himalayas. An Austrian team first climbed Cho Oyu in 1954 followed by the Indian and German teams in 1958 and 1964 respectively. 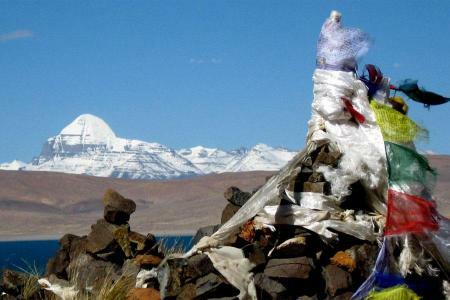 Cho Oyu consists mainly of five ridges - Northwest, Northeast, Southeast, Southwest, and West with the Jabula Glacier on the north, Lanba Glacier on the south, and Gecongba Glacier.Mt. 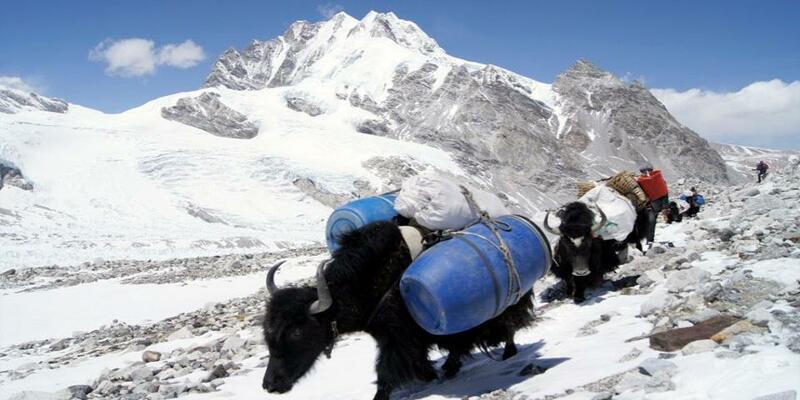 Cho Oyu expedition is rated one of the difficult climbing expedition. Previous mountaineering experience is required to at least 7000m. You will also need to be very determined. To succeed you will need to be extremely fit and have a high level of endurance. You don't need to be fast but you need to be steady and strong. Mental toughness plays a large role as does the ability to relax and let your body acclimatise. It is not recommended for those who have problem of heart and long. Strong will power is essential to take the trip. In Kathmandu: We will be staying at the Shanker Hotel (4 star). This charming historic palace has a huge peaceful garden with a pool and is just on the edge of the main tourist area, Thamel. It is safe and clean and well staffed, and is a safe place to leave your clean town clothes and other gear when you are in the hills. There are many restaurants in Kathmandu catering to western tastes as well as plenty of local Dahl Bhat (rice and lentils) shops at very reasonable prices. On the Trek: We will enjoy full camping style service (cook, kitchen hands, morning tea to your tent door, camp sherpas to help with equipment, porters, yaks etc). Some of our head cook has been with us since 1995 and has picked up Thai curries, Italian pastas and a whole host of other dishes, which are very welcoming at the end of a good days trekking. We also have cooked breakfasts and cooked lunches where possible. 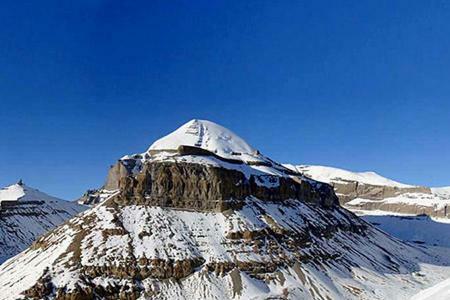 On the Mountain: We will use specialised mountaineering tents for our brief stays up high. Food will be prepared by your guide and Sherpas and will be more basic than you might expect at home. Autumn season (Sept-Nov) being the best season for climbing, as it offers excellent weather and tantalizing mountain views, and also best season for peak climbing.Perfect season to climb Mt. Baruntse. Summer months (June-September) of the year which coincides with monsoon begins in mid-June and drains in mid-September making travel wet and warm. The mountain views may not be at their best as rain clouds and haze over hang the mountains occasionally obscuring the enchanting views. These times are blessed for the keen botanist as the higher valleys and meadows blossom with flowers and lush vegetation. Spring season (March-May) is the expedition season and the best time for climbing the high peaks. It is mildly warm at lower elevations but occasional haze mars beautiful view of mountains. At higher elevations over 4,000 meters the mountain views are excellent and the temperature is quite moderate even at night. 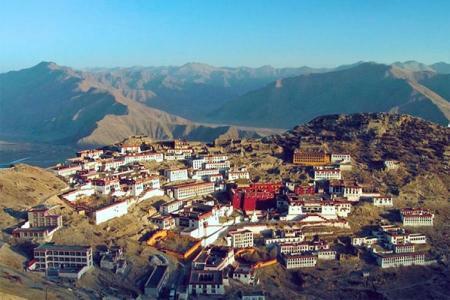 Most of our adventures in the Himalaya take us to remote regions of high altitude. We always take our time to acclimatize properly and we allow for additional rest days. While most people may experience minor ill effects from high altitudes, there are some who have persistent symptoms, which require return to a lower altitude or emergency evacuation. Adjusting to a new diet can also take some time. All clients are required to have travel insurance covering emergency rescue, usually by helicopter. We must stress that this kind of evacuation occurs in a life or death situation only. Rest and/or descent to a lower altitude are the best remedies for most illnesses experienced out on the trail. Circumstances differ, and the head guide with regard to treatment and itinerary will evaluate each situation. Considering the ill person condition, if helicopter evacuation required then just co ordinate with your guide, he can talk to us, we will arrange the fastest evacuation system immediately. We will work with you to accommodate your needs and requests to the best of our ability. There are small, limited health clinics in some areas, hours of operation dependent upon the season. Additional costs incurred in cases of illness are not the responsibility of mine or will be charged as extra cost. Entry visa & re-entry visa for Nepal.